'A formula which Instantly plumps & volumises the look of lashes, with Styling Wax to keep them lifted. Intense black colour for a dramatic, sultry look. I personally love the packaging of this mascara. 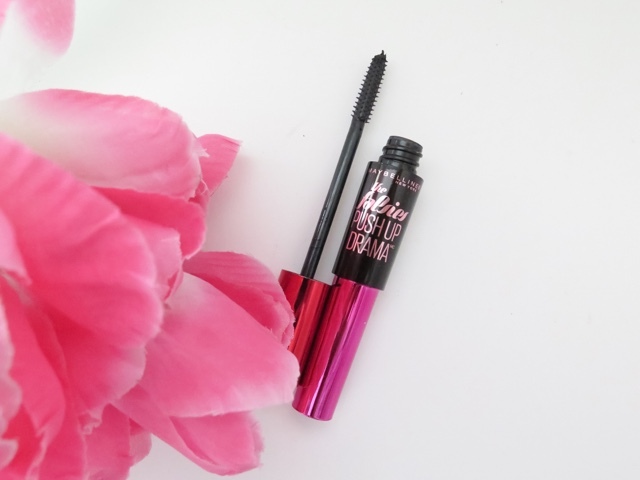 The bottom of the mascara is a metallic pink which leads into matte black with the logo in metallic pink. The lid on the packaging is red metallic which makes this product look like its dual however there is only one product - sadly haha. This wand is actually very similar to Benefit They're Real, the wand bristles are plastic and quite rigid which helps to define lashes individually whilst adding volume and length. The formula of this mascara is extremely creamy which helps provide lift and volume without appearing clumpy. The mascara is designed to give a push effect to the lashes however I find it is still best to curl my lashes before application to ensure that the lashes stay curled all day. Whilst the formula is creamy, it is difficult to explain the consistency. It is neither too dry or too wet, its the perfect amount of both. Overall, I think this mascara is worth every penny and when it runs out, I will definitely be re-purchasing. This mascara sounds like it will be great, I'll have to give it a go!